I really hate Shepherd's Pie. I always have. My mom's version combined a number of ingredients that I hate. Namely....green beans, tomato sauce, weirdly crusty mashed potatoes. But recently it was 5:30pm and I have no dinner planned yet. I assessed the cupboards and realized I could make a Shepherd's pie, my husband's favorite. Ugh. I could not find a recipe so I winged it and voila! I feel very sheepish saying this, but it was the best Shepherd's Pie I had ever had. Quickly I jumped up and wrote down the recipe. We decided we're not too into the cheese on top, but if you wanna add it...go for it. 2 large carrots, peeled and diced to 1/4"
-Saute onion and garlic until soft. Add beef and fry until brown. Drain. Add seasoning salt and stir to coat meat. -Add tomato sauce, carrots and peas. Stir to combine. -In separate bowl make 3-4 c. mashed potatoes using instant potato flakes (or leftover mashed potatoes). -Pour into 9X13 pan and top with layer of mashed potatoes. Top with shredded cheese. -Bake at 450* for 15-20 min or until bubbly and slightly brown on top. - Cover with Aluminum foil and freeze from up to 3 months. - Thaw for 24 hours in fridge. - Bake with foil on at 350* for 20 min. Remove foil and bake 10-15 more minutes or until bubbly and slightly brown on top. I made this, and it is absolutely fantastic! We used green beans because we didn't have peas, but I think it would be better with the peas. Thanks for the recipe! I am Italian, but my ex wife was Australian and use to do this version of the recipe and it is absolutely fantastic!!! I made this today and my family loved it! I used tomato paste and chicken stock as a substitution for the tomato sauce because i prefer a less tomato-y filling. I'm definitely keeping this one! I'm with you..I'm not normally a fan of Sheperd's pie....but there's nothing so fabulous as a casserole when it's T minus dinner time! This was fabulous!!! The kids loved it too!!! I'm just curious, when you say 1 can of tomato sauce, do you mean actual tomato sauce as in the stuff you put on top of pies and sausage rolls, or do you mean tomato paste as in the thick stuff you put on pizza bases. Sorry, it's just that where I live tomato sauce doesn't come in cans, but tomato paste does. This recipe sounds delicious and I want to give it a go, but different countries and regions have different ingredients, or call them different things so it gets confusing. 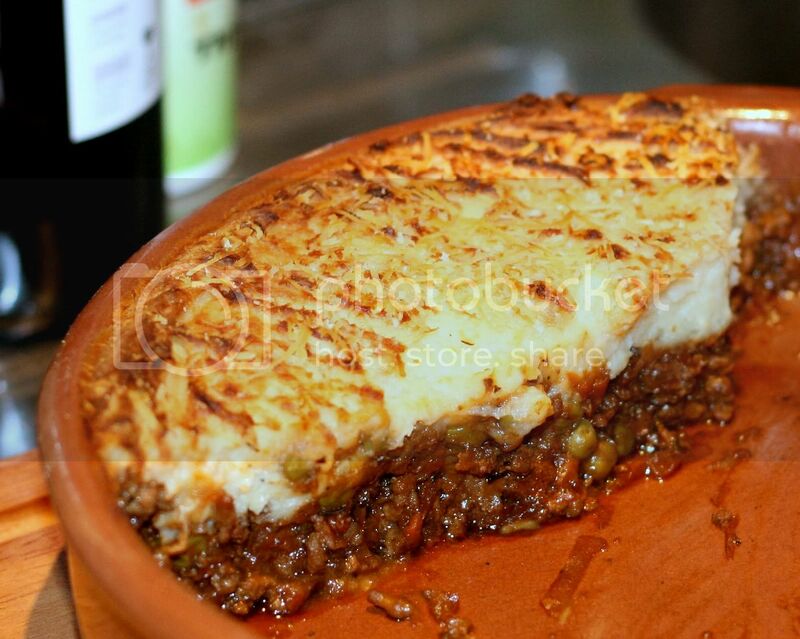 I had a really good shephards pie a couple of weeks ago and it had a layer of pastry along the bottom and was delicious! Mashed sweet potato or yams instead of mashed potato is the BEST!